This is a must watch trailer for one of my favorite films, a drama called Eden, made by filmmaker Mia Hansen-Løve (of Father of My Children, Goodbye First Love) about a French house music DJ named Paul Vallée. The film has played at film festivals all over the world, from Toronto to New York to London to Rome to AFI, and is now hitting theaters this June. This trailer is a must watch because it's a beautiful way to sell this film, with quotes and the right music (Daft Punk! ), everything is perfect. I wrote a really glowing review of Eden from TIFF last year, and I'm happy to support it and happy to see it get a release here in the US. It's a long film, not for everyone, but it has some very deep layers to it briefly hinted at in the new trailer. Enjoy! Based on the experiences of Hansen-Løve's brother (and co-writer) Sven, the film follows Paul (Félix de Givry), a teenager in the underground scene of early-nineties Paris. With a parallel storyline featuring Daft Punk, the film's described as "an intoxicating cocktail of euphoria and melancholy as alive as any nightclub." 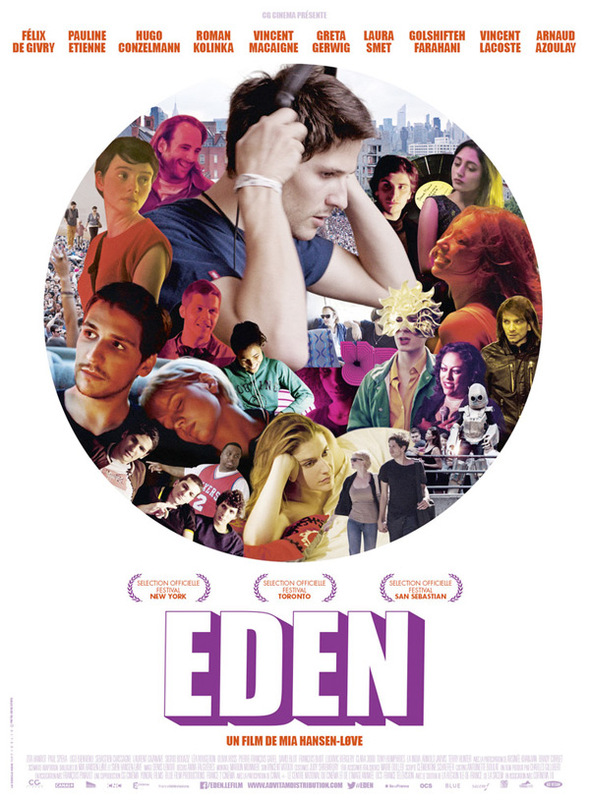 Eden is directed by French filmmaker Mia Hansen-Løve, and first premiered at the Toronto Film Festival last year. The cast includes Félix de Givry, Pauline Etienne, Vincent Macaigne, Greta Gerwig and Brady Corbet. Broad Green Pictures will release Eden in US theaters starting June 19th this summer. Please go see it, one of my favorites. For more, read my review of Eden from TIFF. Follow the film's official page here. I really don't care for House music and the legions of people who follow it...I will pass. Sometimes I wish my life looks like that. Or one of its good versions. I like good twists of faith. Hey, who doesn't, right?